Travel to and from the Casino in winning style. Sydney’s Casion – The Star, is waiting for you. Arrive and depart in ultimate luxury and style. Luxury limousines ready for Casino transfers. Poker, Craps, Blackjack or Roulette? Whatever your favourite game, you will find it at Sydney’s casino, The Star. Allow us to take you there with our chauffeured limousine casino service and arrive in impressive style. We all know a trip to the Casino can be fun, risky and exciting. Just the thought of winning the jackpot and collecting big is enough to draw thousands of players every day to have a gamble. The thrill of the gamble is what makes the whole casino experience unpredictable and fun. But there is so much more at Sydney’s casino than just gambling. You will also find 5 star hotels, elegant restaurants, vast shopping venues, bars, an award winning nightclub, live shows and tonnes of entertainment. Visiting the casino can be a big deal. And we can help you make your next visit extra special with our luxurious sedan hire cars, gorgeous stretched limos or jaw dropping stretched Hummers. Arrive in one of our chauffeured limousines to start your casino experience with a bang. Whether you win or lose at the casino you will be a winner when you book with us. Our professional chauffeur will pamper you with celebrity treatment. We can have champagne on ice ready for you to enjoy in the back of our stretched limousines or Hummers. Sit back and enjoy the luxurious features of our casino limo while we take you to your requested destinations. If you have accommodation at the Star in one of their hotel suites we can meet you at Sydney Airport or your chosen location to transport you there. Avoid taxi lines and crowded buses and experience pure class and excellence when you travel with us. Our luxury vehicles allow you to have a peaceful and enjoyable ride. And as always you will arrive in ultimate style. If your pickup location is some distance from Sydney CBD then you will get to experience more time in your casino limo. Our stretched models have many features which allow you to have a thoroughly enjoyable experience as we transport you to the casino. Bar facilities, state of the art Audio Visual systems and plenty of room to stretch out allow you to arrive in a positive mood to have a great casino experience. If your pickup location is only a short distance from the casino why not request a joy ride in the casino limo first to give you enough time to enjoy the facilities? There is nothing quite like travelling in a limousines with a few of your close mates or even just your loved one for a romantic experience. No matter how large or small your group you want to make sure that you have adequate time to enjoy the ride and take it all in. When you make your booking you may ask us for suggestions for places to go if you would like to go to extend your travel time. Otherwise we can take you directly to the casino to reduce your travel time. Book a private limo transfer with us to start your next casino visit the best way possible. After spending some time in our luxurious and modern vehicles and getting star treatment from our professional chauffeur your confidence will be soaring. This is the perfect way to get you in the right frame of mind to have a great time at the casino. 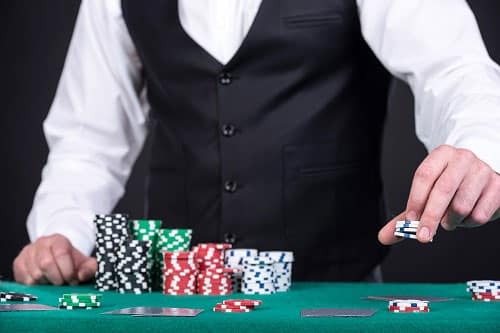 Even if you are not heading off to have a gamble there are plenty of other attractions at Sydney’s casino, The Star, to have an awesome experience. Make it outstanding with our limousine casino service. Proudly announce your winning style with our elegant and stunning limousines.